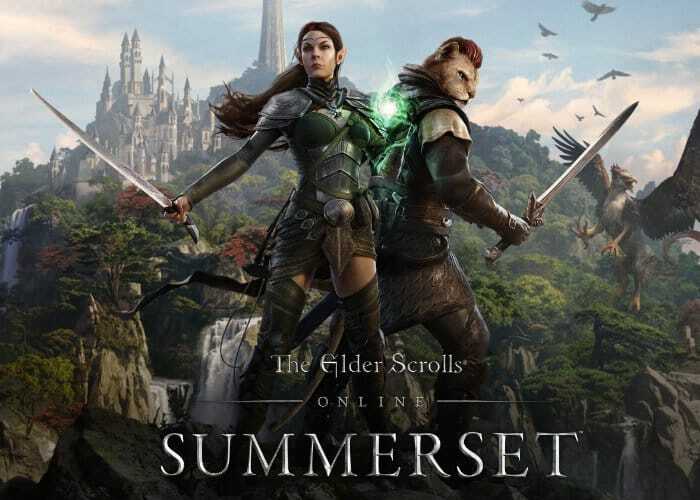 Today ZeniMax has announced the new content you can expect to roll out to the Elder Scrolls Online game revealing the next chapter in the Elder Scrolls Online saga as Summerset. Check out the announcement, cinematic trailer below as well as a quick snippet of gameplay to whet your appetite the new content which will be available to enjoy from June 5th, 2018 onwards. The ESO Summerset Chapter is now available to preorder, and those that do so before the game’s launch will receive immediately receive the Nightmare Senche Mount and a bonus copy of the Morrowind Chapter. Other bonuses are also available in the form of the Queen’s Bounty Pack, and its unique digital rewards, including the Court of Bedlam costume, Pocket Salamander pet, and more, once Elder Scrolls Online Summerset launches in a few months time. For more information on the latest chapter in the ongoing Elder Scrolls Online game jump over to the official website by following the link below.